To my surprise, Rabbi Zvi Lampel, author of the excellent work The Dynamics of Dispute, publicly accused me of "choosing a cartoonish graphic to depict the ancient theory of the sun's path" with the intention "to increase incredulity and ridicule." Obviously, they are not "choosing a cartoonish graphic" with the intention "to increase incredulity and ridicule." 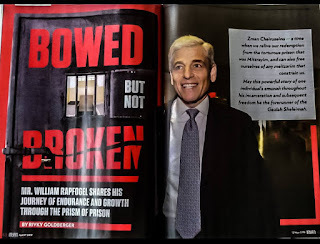 So on what basis does Rabbi Lampel claim that I engaged in such a nefarious act? This is nothing less than motzi shem ra, as well as a contravention of the mitzvah to judge a fellow Jew favorably (although there wasn't even a situation here that was questionable!). Still, the point of this post is not to highlight the moral shortcomings of my opponents in how they express their disagreements with me. (If I wanted to do that, I'd be busy for a long, long time.) It's to suggest an important insight. I've often heard the claim that demonstrating Chazal, or Rishonim, to have been mistaken in a scientific matter is "ridiculing them." Allegedly, if Rashi believed in mermaids and I say that there's no such thing, this is "ridiculing" Rashi; if Tosafos believed that elephants jump, and I say that they don't, this is "ridiculing Tosafos." For example, consider how people would respond if they were told about a lizard with three eyes on its head or with three tails. The average person might be skeptical. However, a zoologist, who possesses a thorough knowledge of the animal kingdom, would not be so skeptical; there actually are lizards, called tuataras, that have a third rudimentary eye, and if a lizard’s tail fragments in two places it can grow an additional two tails. But if someone were told about a lizard with three toes on each foot, there would be no particular reason for the average person not to believe it, and he would not be considered gullible for accepting the report as true. The zoologist, on the other hand, would have reason to be skeptical, for there have been no three-toed reptiles since the time of the dinosaurs. Thus, gullibility has to be measured against the information that one already possesses. Since in ancient times there was very little information on hand about the natural world, it was not ridiculous to believe in bizarre creatures. Why do so many people in the Charedi world make this error of judgment? One possibility is that it might stem from the black-and-white attitude towards historical figures in general that is taught in the Charedi community. The good people in Tenach are not merely righteous; they are superhuman figures whose stature we cannot remotely even begin to start to grasp in the slightest way at all - and that's an understatement. Conversely, the bad guys are not just people with some shortcomings - they are utterly evil rogues whose every act is intended to cause maximal harm. With such an education, it's hard for people to grasp that a scholar may be very, very incorrect about something, and yet still worthy of great respect. On the other hand, the problem might stem from a lack of sensitivity to intellectual history in general; failing to understand how that which seems obviously factually correct in one era and culture, seems absurd in a different era and culture. Today, the idea of the world being flat is the ultimate nonsense, believed only by cranks. But in the ancient world - inhabited by people who were just as smart as people today - it was a belief held by many. And even those who believed it in the 19th century, while very different from those who believed it in antiquity, were not crazy, ignorant or stupid, as Christine Garwood's fascinating book Flat Earth demonstrates so well. The only way to solve this perception of ridicule is to give as much historical context as possible. But there will always be those who are not sophisticated enough to grasp this; and there will always be those whose ideological opposition to the rationalist approach is so passionate, that it causes them to engage in character defamation. Your graphic is brightly colored with bright offsetting colors, outlined each area with an offsetting color, and uses a font that is a bit cartoonish. That combination makes it seem similar to colored comics - hence the impression that it's making fun. The diagram from the other sefer is black and white, uses a book style font and business-like arrows. Therefore it's not making fun. Regardless that both show the same information. Surely you're not being serious. So there's nothing wrong with such a diagram, but it's my choice of bold font and contrasting color that reveals my motivations to be ridiculing Chazal?! "The good people in Tenach are not merely righteous; they are superhuman figures whose stature we cannot remotely even begin to start to grasp"
I recall from when i was in Yeshivah, there was a massive outcry against my Yeshivah's approach to learning Tanach. In particular, regarding a book one of my Rabanim wrote regarding David sinning with Batshevah. A prominent Rosh Yeshivah accused my Rabanim of kfirah and of reading Tanach "begovah enayim". A response of one of my Rammim left an impression... he said that the fact that Anshei Tanach are described as being human and fallible is a testimony to the Truth of our Tanach. It is what differentiates Judaism from almost every other ancient and contemporary religion, which all view their leaders and founders as infallible demigods. The recording of mistakes made by our founders and leaders in Tanach is a siman of its Truth. It is the chareidim who have fallen into the same trap as other religions by proclaiming Anshei Tanach, Chazal and contemporary Gedolim as being infalible! By proclaiming the infalibility of Anshei Tanach and Chazal they are essentially diminishing the Truth of our Torah! The problem seems to be the Hassidisizing of the Litvak world-in terms of promoting the Ssadiq as infallible. I'm no psychologist but this certainly appears to be a case where the accuser assumes you are out to ridicule chazal and therefore interprets your seemingly innocent drawing as furthering your goal of knocking down chazal. I'm sorry you were attacked by him, that must be very frustrating since that is clearly not your intent. I do take issue with your mentioning him by name in your post. I will give you the benefit of the doubt that because his accusation was done publicly you are permitted to mention his name. I'm not sure what it adds, though, to mention him by name. On the other hand, I personally did not know about his accusation and now I do, so I do see the negative aspect of naming him. On a lighter note, I think they would have been better off attacking you from a more halachic standpoint. How incredibly ironic is it that the author of a book on how one should argue with an intellectual opponent would jump to such conclusions!? > It is what differentiates Judaism from almost every other ancient and contemporary religion, which all view their leaders and founders as infallible demigods. Most ancient religions didn’t see the gods as infallible. Mythology is not about perfect beings; it’s full of gods who scheme, make mistakes, conquer other gods and are defeated in turn themselves. I just posted on something similar to what Meir wrote. What's the proper way to honour Chazal? To portray them as supernatural, infallible beings whose very gaze would burn us to a crisp, or as intelligent, pious and dedicated leaders who sought to understand God's truth and disseminate His Torah to His people? I would suggest the latter. Many Chareidim would suggest the former. Who's right? Rabbi, I had this argument with Dr/ Betech about how he was Motzei Sheim Ra against you by claiming you do not care about scholarly articls and scientific experiments. They just like to accuse you of things without any real basis. It is a smart tactic, try to debase and ridicule your opponent so that no one will take them seriously even when it is the accuser who has no grounds to stand on. In fact, it is the only way they can argue against you! Otherwise, they would lose if they were basing it on the merits of their arguments. I think Akiva is right -- your diagram does look 'cartoon'-style, compared to the simple, 'schematic'-style other one. I can see how someone who is hyper-sensitive to what they might consider 'slights' to ḤZ"L's honor could take offense at a cartoon-style drawing. You forgot to make a link to my response to your accusation against me. A Rebbe in the yeshiva I am affiliated with said about mechiras yosef: "we have absolutely no musag bichlal of the metzius of what happened in this parsha. halavai we would be at a madrega to sell Yosef!" i think he has a good point. avadai they made mistakes - they are human - but we can't get all gaiva'dik and think we are any better. look at the little aveiros we do numerous times a day, it's pathetic. now, look at their seemingly massive aveiros. how could that be? first off, it's yadua that the sins of the early generations are revealed while the sins of the later generations are hidden. even during the 2nd temple, a pig was shechtid there for crying out loud. the truth is that the greater the person the greater the yetzer hara must be in order to counteract that bechira power (suka 52). in the end of the matter, we need to stop looking down at others, and look at ourselves - not down, but up..at how great we can be. that's the secret to being a true eved hashem. by the way, rabbi dessler has a beautiful piece on the aveiros of great individuals. it's worth finding and reading. >How incredibly ironic is it that the author of a book on how one should argue with an intellectual opponent would jump to such conclusions!? The greatest irony is that the cover of his book has a cartoonish depiction of Chazal! I don't have a color tv, I mean monitor, only a black & white one so the diagram looks more serious on my screen. Excellent post. You said it about as well as it could be said. Seems like many charedim have no sense of proportion. As you mention, they see recognizing errors as "belittling" them. In your last post someone equated deemphasizing one rashi as "burying" rashi pathetic. By the way, I had the exact same thought about the cover of Lempel's own book. . I just finished reading your article on The Evolution of Kazeyit, and I can clearly see now why the Chareidim feel that you're belittling Chazal. I mean really, you claim that our eggs today are bigger than Chazal's eggs? If that's not demeaning I don't know what is! Yes I am being serious. As a frequent giver of lectures and power point presentations, I can definitely say that certain color schemes are "serious", others are "humorous", others are "happy" or "sad" or "childish" or even "funky". The color schemes in your diagram are bright and happy and a bit childish. Hence it's possible to judge them as cartoonish and (therefore) belittling. Your content shows that's clearly not the intention, but when someone is looking for a problem it gives them something to latch onto. Simply switch it to grey scale and the problem will go away. Sorry Dr, thank you for linking to it. The reason I did not link to your site is because of the disgusting language with which Simcha Coffer speaks to me later on in the thread and how I refused to go back to your blog because of his lack of integrity. Anyone who does not at least ACKNOWLEDGE that the Rambam could be understood to be saying days are not literal (as many of the commentaries discuss) is clearly dishonest. I still do not understand how refusal of a layman in the area of evolution refusing to debate a layman in the area of evolution constitutes academic dishonesty. I tried to reason with Dovid K. in this area also, but he CLOSED THE DISCUSSION when I was completely disproving his point. His argument against RNS made no sense either. Alas, it seems to me that people, as I said before, try to discredit the person instead of answering the ideas their opponents put forth. G*3: I wasnt refering to their gods, i was refering to the leaders and founders of religions. Thats where we differ from them as well, we see Hashem and only Hashem as being infalible. "Simply switch it to grey scale and the problem will go away. " There is no problem to begin with. Az chazal said in beraishis " HaRotzeh sheyitah" etc. One who wants to look for problems, can always find problems. Small minded charedim looking to find flaws with Rabbi Slifkin will always be able to find some imaginary thing they will claim is a problem. R. Slifkin should simply laugh and (as r yakov kaminezky advised) "feif" at such foolish trivialities. 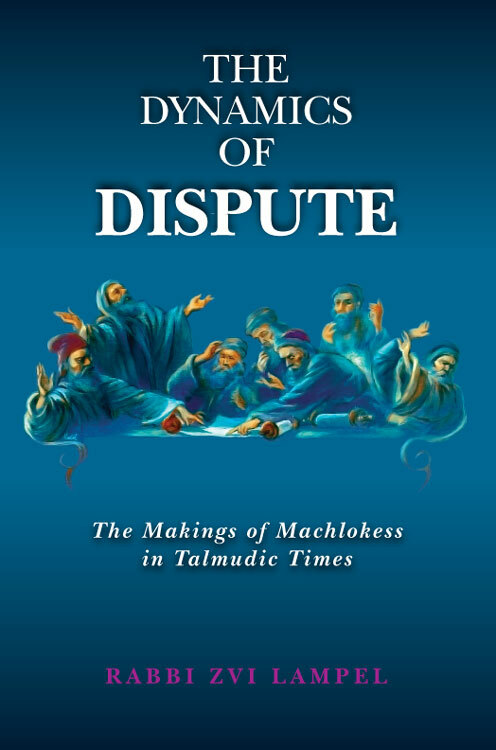 Is it just me, or do the figures on the cover of the "Dynamics of Dispute" look very similar to J-'s disciples in Da Vinci's The Last Supper? Natan, can you post the cover side by side with Da Vinci's painting for an objective comparison? Well, I thought some of them look somewhat similar. "This claim was astonishing. After all, a similar diagram appears in Shas Lublin Mehaduras Vehagisa, published by Machon HaMaor, a card-carrying charedi publishing house:"
Wow. Got a good laugh at that one. But how can Rabbi Lampel not have realized this? Sad. I like the humorous aspect of what you updated with, but in seriousness, could you explain what is "cartoonish" (aside from it actually being a cartoon) about the photo? Is it the facial hair? The togas? The expressions? Seems pretty ancient-looking to me. David: It's not jsut you. I have a reproduction of the picture in front of me, and while you are pushing it, you have a point. Anonymous 3:13 AM was I.
I also agree with Akiva. The B&W Chareidi pic says "Look guys, we're not proud of this, but if you don't understand this, you won't understand the sugya, nebech"
Your color pic says "Na na na na na -- look who got it wrong!" I really see no difference between the color version and the black and white version. People trying to "darshan" that are being ridiculous. I saw the drawing in the past before it appeared on your site.